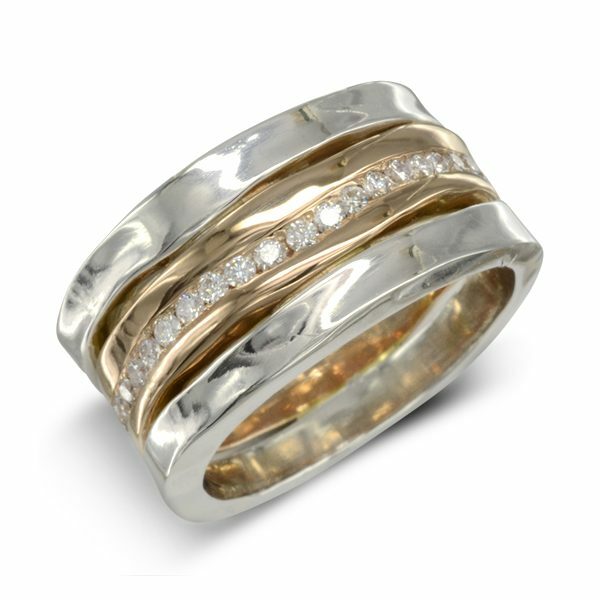 A Hammered Eternity Ring in two coloured golds, set with diamonds. Made to commission in metals and gemstones of your choice. The ring pictured is made in 9ct rose gold and 9ct white gold. Set with 40 1.5mm round diamonds. The finished width of the ring is 10mm with a thickness of 2mm. The outer bands can be removable or fixed.